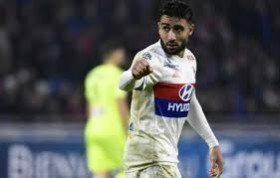 Lyon are reportedly prepared to sanction the sale of captain Nabil Fekir in the New Year after failing to finalise a new contract beyond June 2020. The attacker came on the cusp of joining Liverpool during the summer transfer window but the move was scuppered at the final hurdle after complications with the medical. Jurgen Klopp's side have since ended their pursuit of the Frenchman after securing the services of Xherdan Shaqiri from Stoke City but the future of Fekir is still hanging in the balance. According to L'Equipe, Les Gones have decided to sanction the Frenchman's departure in the New Year after getting to know that the 25-year-old has no plans of penning a new extension. It is added that the Reds are unlikely to make a fresh approach, although there remains potential interest from some of Europe's elite clubs including Real Madrid and Bayern Munich. Fekir has appeared in 10 Ligue 1 matches for Les Gones this term where he has contributed two goals and two assists. He has also impressed in the Champions League with same tally from four matches.